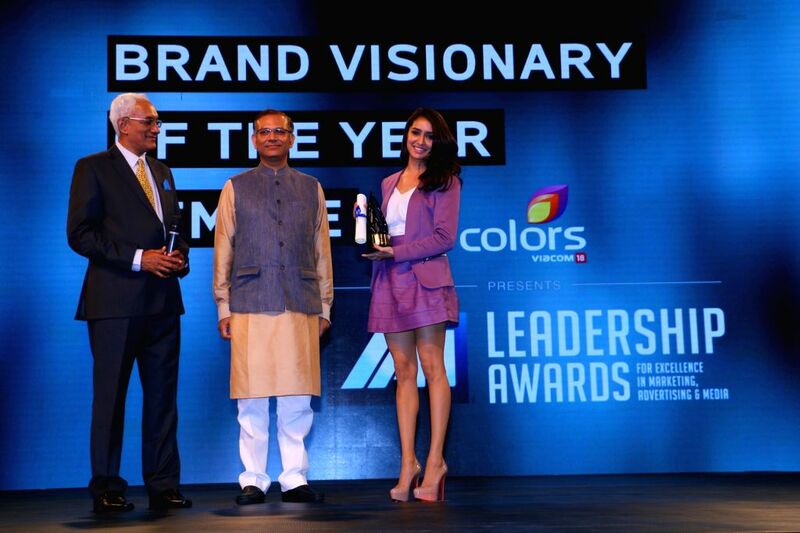 Mumbai: Actress Shraddha Kapoor receives the Visionary of the Year (female) award at the International Advertising Association Awards ceremony hosted by Colours, in Mumbai on April 19, 2015. 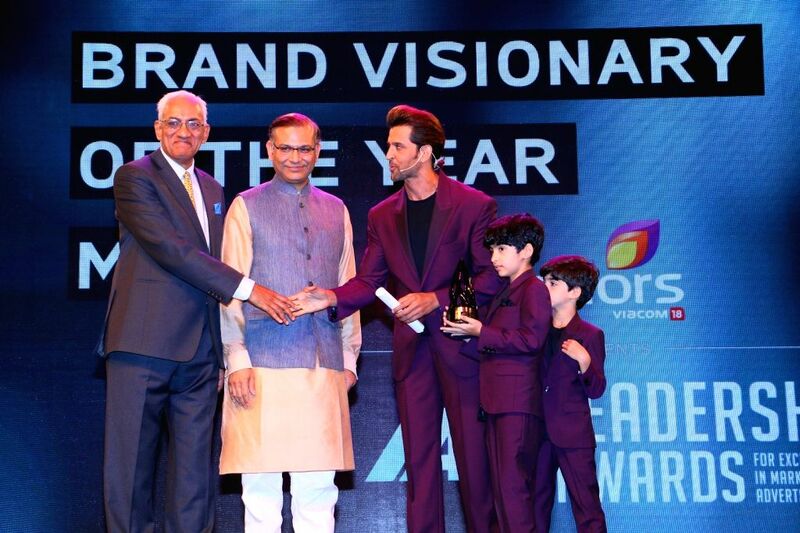 Actor Hrithik Roshan receives the Visionary of the Year (male) award at the International Advertising Association Awards ceremony hosted by Colours, in Mumbai on April 19, 2015. Also seen his sons Hridhaan and Hrehaan.